St Luke’s has had a rich musical tradition for many decades. Music is an extremely important part of the liturgical life of the parish. St Luke's has been fortunate to have had several distinguished organists and Directors of Music over the years, as well as dedicated choristers. There are also many instrumentalists who contribute their gifts, mostly playing on major feast days. At St. Luke's, music is a dynamic, creative and enjoyable experience. For more information on how you might be involved in St Luke’s music ministry, contact the Parish Office or the Director of Music. 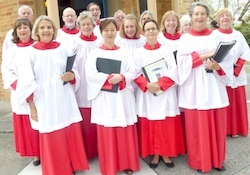 The Parish Choir sings at the Sunday 9 a.m. Sung Eucharist and for the major feast days throughout the year. 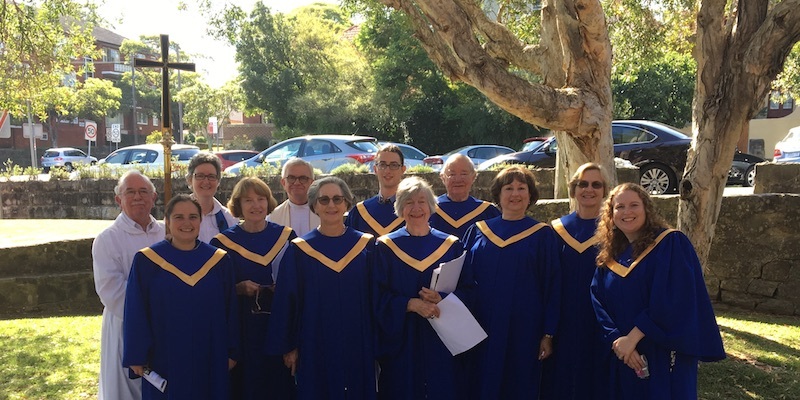 The Choir sings a wide variety of music, ranging from ancient chants to twentieth century compositions. Its music enhances the beauty of the liturgy for which St Luke's is well known. The Choir is directed by the Director of Music, Callum Close. Its members come from various backgrounds and ages. The Choir rehearses on Thursday nights from 7:30 p.m. to 9 p.m. and again on Sunday morning at 8:15 a.m. The ability to read music, though desirable is not a prerequisite. What is required is a willingness to learn and a commitment to attending rehearsals and services. The musical teamwork of the Choir is greatly strengthened by social events throughout the year, including choir dinners. There are vacancies in all parts of the Choir. For interested choristers and for those who would like to be involved, but cannot make a regular commitment, there is the option of being an honorary choristers who sing with the Choir on major occasions like Christmas, Easter and Patronal Festival. For details contact the Director of Music. St. Luke’s first organ was an ‘American organ’ - or harmonium. It was used in our church in Bond Street until 1909, when it was moved into the new Heydon Street church. In 1914, a pipe organ, built in England, was installed. It was destroyed by fire in 1935. In late 1935, a third organ, obtained from Melbourne, was installed. In 1958, it was felt that the cost of moving it into the new church was beyond the parish’s resources. Instead, an electronic organ was used for several years. In 1963, the organ from the old church was finally rebuilt and installed in the present church. However, the rebuilding was not wholly successful and a further rebuilding was undertaken, largely underwritten by Mrs Margaret Holmes as a memorial to her husband Dr T A G Holmes. The newly rebuilt instrument was dedicated in1986. In 2002, the then Rector, John Seddon, discussed with his successor, Lyndon Sulzberger, ways in which St Luke’s long-standing music tradition could be strengthened and enhanced. 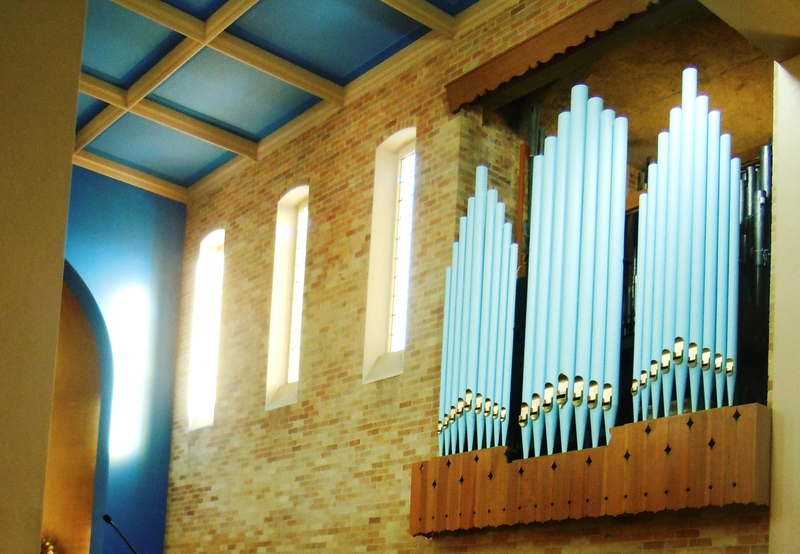 In 2006, the Wardens and Parish Council decided that for St Luke’s to assume a pre-eminent position in music, extensive work was needed on the organ. As repair quotes were huge and buying a new organ was not feasible, they explored other options. Finally, an organ built in 1905 by George Fincham & Sons was purchased from St. Philip’s Presbyterian Church, Newcastle, to be rebuilt in St Luke's. The purchase, rebuilding and installation of the Fincham organ could not have been achieved without the support of St Luke's caring and generous congregation and friends. The project was made possible by donations by parishioners and friends and a significant bequest from the estate of Bill Bridgeford, honorary assistant organist at St. Luke’s 1936-1977. The Rector, Wardens and Parish Council valued the expert advice of Warren Southward, our Director of Music 2006-2008, Peter Ellis, former Director of Music, and Tony Tanner, long-time parishioner, honorary assistant organist, and Warden. Tony, as organ project manager, worked closely with Sydney organ builder John W Parker, who carried out the design, rebuilding construction and installation of the organ. In 1909, Fred Reeve's dream was to have a pipe organ. He believed it would make music special at St Luke's. For over a century, many others shared his love of organ music, honoured St Luke's music tradition and contributed to it.